I want to share with you all a Texas themed sports quilt. It was designed and pieced by Kathleen, It’s truly unique and designed just for her grandson. 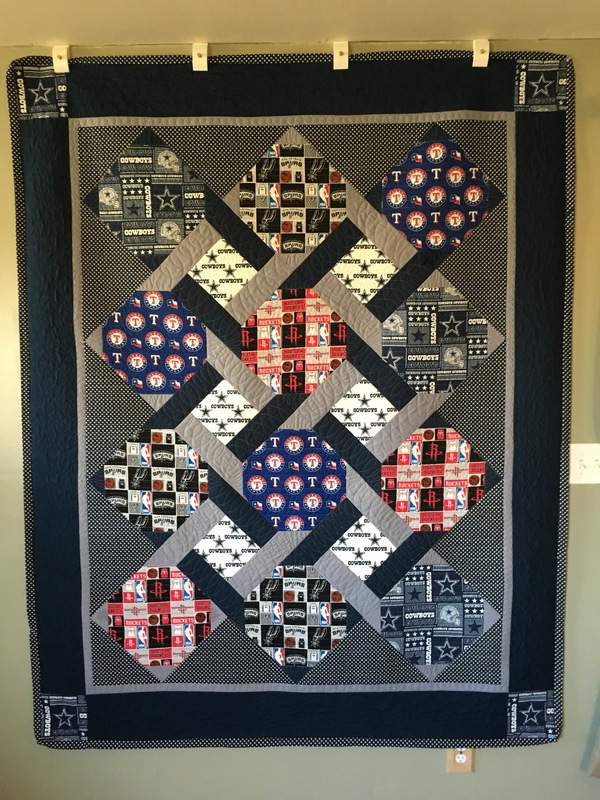 Since Kathleen’s grandson’s favorite teams are all from Texas, the name for the quilt was simple. 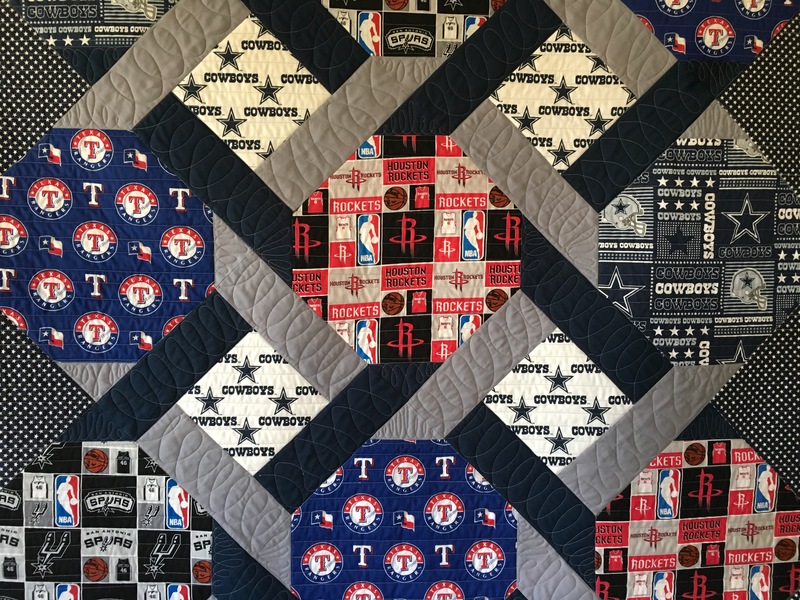 She chose a variety of wonderful fabrics ranging from, Kona fabrics, MLB Cotton Broadcloth Texas Rangers Red/Blue fabrics, NFL Cotton Broadcloth Cowboys fabrics, NBA San Antonio Spurs Fabric Black/Silver, NBA Houston Rockets PatchFabric. Kaufman Sevenberry Classiques Small Star Navy fabrics. I love how Kathleen, designed the interlocking design that frames each square, along with the perfect piecing. 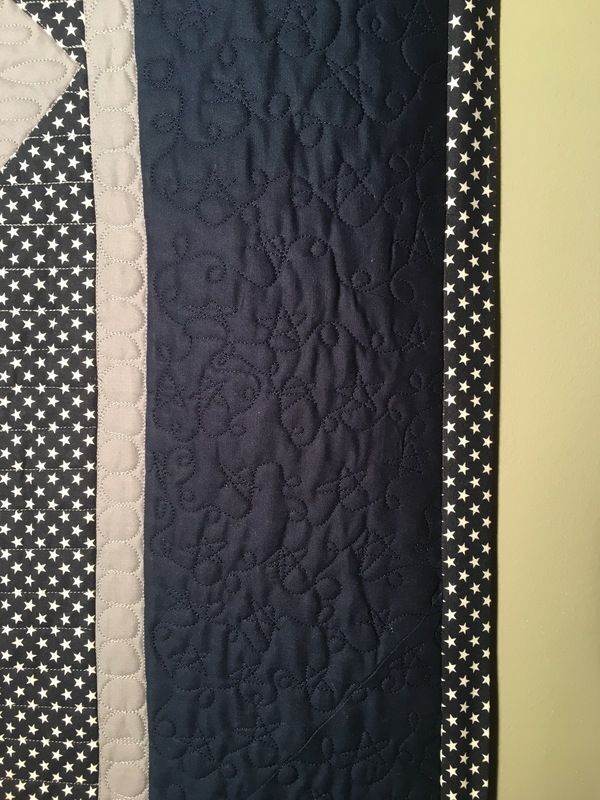 It made this quilt so easy to Longarm. 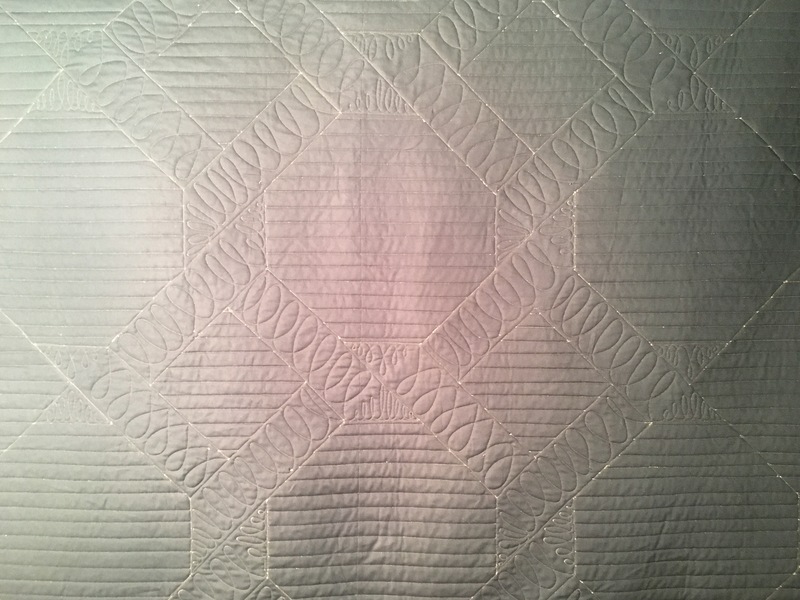 The top quilting design, that was decided upon was, straight lines and stitch in the ditch along the intertwined design, with large pebbling in the small grey sashing strips. 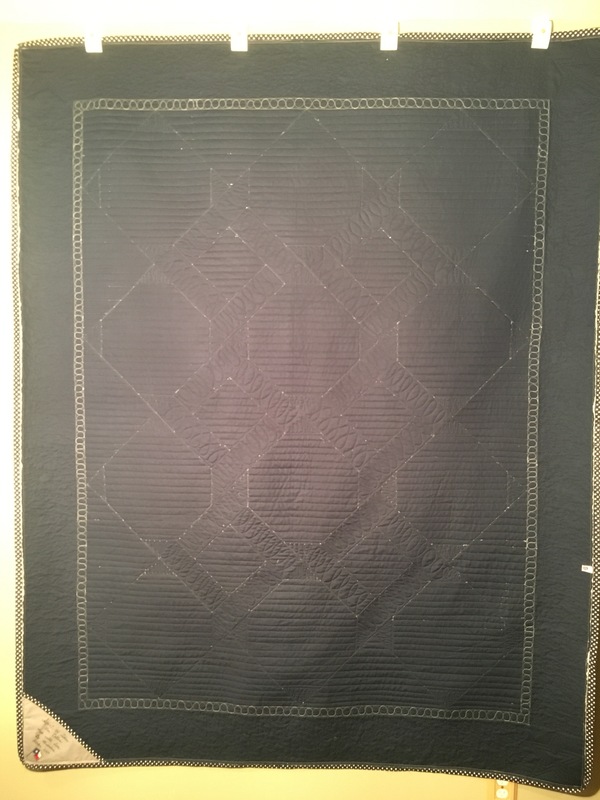 Framing the intertwined design with loops and stars in the outer border’s with star echo quilting for the corner squares. It turned out fantastic, thank you Kathleen for another fun quilt.